The time has come for another iPhone from Apple, and this time in fact, there’s two! Over the past few months we’ve seen numerous leaks of the upcoming iPhones, but perhaps the most interesting were of a colorful, plastic device that was supposedly a cheaper iPhone. 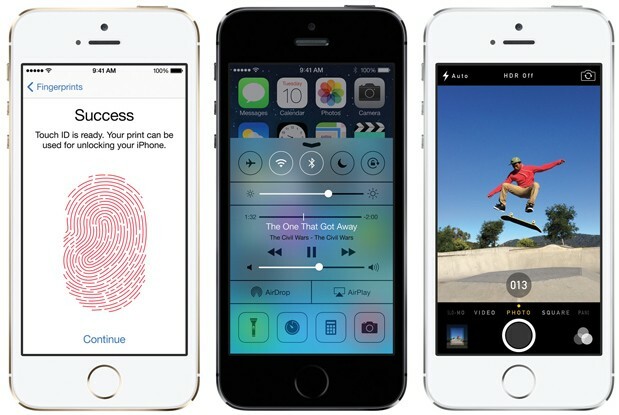 Now we know it’s true, Apple has launched both the iPhone 5C and iPhone 5S. Read on for all the information about one of the year’s biggest launches! 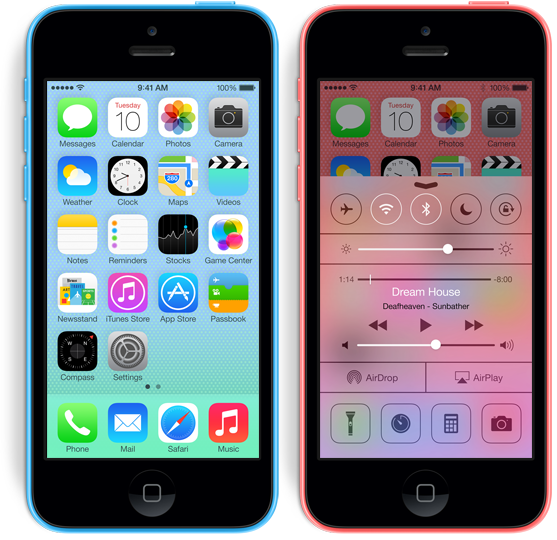 Quite contrary to Apple’s previous devices the iPhone 5C is meant to target the mid range segment. Although it’s not as low priced as most would think, it’s definitely going to be cheaper than the flagship. So what do you get for a lesser price? It’s basically an iPhone 5 with a plastic body, and loads of new colors. The iPhone 5C is designed to replace the outgoing iPhone 5, unlike earlier when the previous models were simply discounted. There’s the same 8 MP camera, an improved front facing 1.2 MP camera and everything else you’d expect, like Bluetooth 4.0, WiFi and LTE. 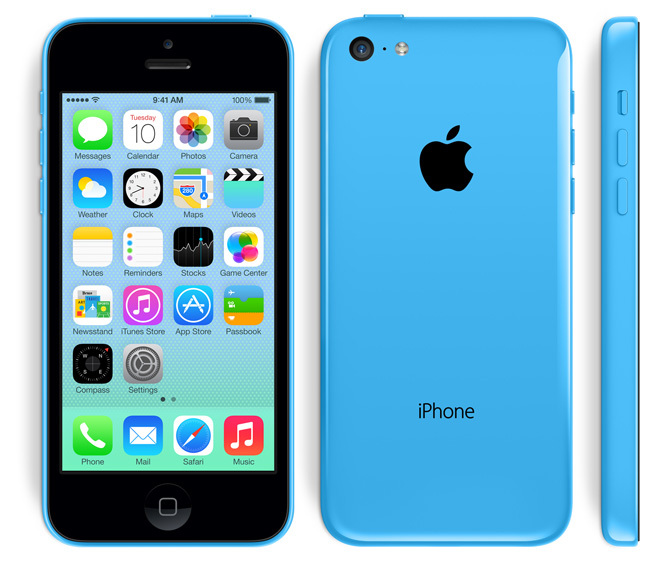 There will be 2 versions of the iPhone 5C, a 16 GB and a 32 GB. As always, there’s no expandable memory support, but you can rejoice in the fact that iOS 7 will come out of the box. In fact, the colorful body is complemented by the new and reworked OS. On contract price for the 16 GB variant is $99, while the 32 GB variant will set you back $199. Off contract prices will be $549 and $649 respectively. That puts it firmly in the league of the Nokia Lumia 1020, now available for $199 on contract. Speaking of which, Apple seems to have definitely taken out a page from Nokia’s book with the colors and design on the iPhone 5C. No word on release yet, but we’re expecting it to hit stores by mid October or earlier. This year’s flagship from Apple has finally been revealed, and it doesn’t disappoint. 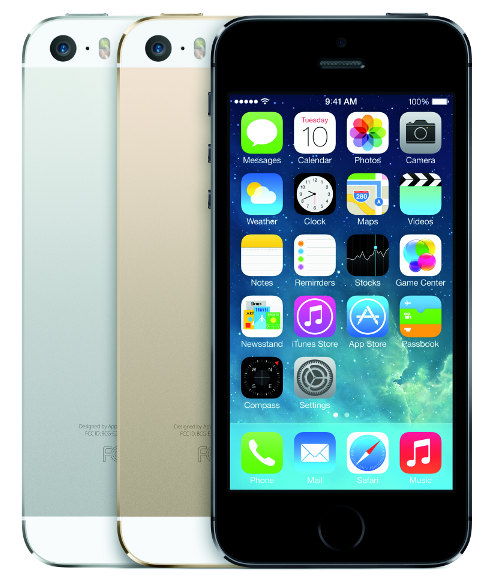 The iPhone 5S might look very similar to the outgoing model but packs in some pretty neat tech in a similar package. First off, the SoC has been upgraded, to an internally developed (as always) Apple A7. The Apple A7 is the world’s first 64 bit mobile processor, a milestone undoubtedly very important in the long run. Also included is a brand new GPU that now supports the OpenGL ES 3.0 standard, a boon for gamers around the world. The third in a line of acclaimed games, Infinity Blade 3 was also shown off, particularly highlighting the abilities of the new SoC. Another new addition is the Apple M7, a coprocessor designed to monitor the gyroscope, accelerometer and compass to work with health and fitness apps seamlessly, similar to the Samsung Galaxy S4. On the imaging side of things, the tried and tested camera has been made even better, although the megapixel count remains the same. It can now capture upto 15% more pixels and works in tandem with iOS 7’s new camera features to allow users to capture 120 FPS 720P video for slowmo shots. Image stabilization has finally been included in this iteration, a long awaited feature. Burst mode and GIF making features were also shown off, very similar to what the Nokia Lumia range already offers. The final highlight in the imaging department is the inclusion of dual LED flash. The biggest discerning feature from the previous phone is the new fingerprint scanner on the home button. Dubbed “Touch ID”, it not only lets you unlock your phone, but also authorizes purchases made on iTunes, the App Store, iBooks and the like, a very neat feature for those troubled by kids inadvertently buying stuff online. Oh, in case you’re all flustered about the data being collected, Apple has assured users that none of the data is stored anywhere. Interested already? The iPhone 5S will be available in the US, UK, Australia, Canada, China, France, Germany, Japan and Singapore starting September 20th. It should be available everywhere else by December this year. On contract prices are $199 for the 16 GB model, $299 for the 32 GB model and $399 for the 64 GB model. Off contract, it will be $649 for the 16 GB model, $749 for the 32 GB model and $849 for the 64 GB model. So the highly anticipated iPhone 5S and iPhone 5C have finally touched down. The iPhone 5S did definitely bring some new innovations to the table, but the iPhone 5C is just a iPhone 5 in a different body. Do let us know what you think about one of the biggest launches of the year!